The subject of food has been firmly at the heart of the media’s agenda for the past several years, and it’s accused both of being the source of all evils and eulogized with infinite virtues. At the crossroads of issues as wide as they’re varied, the debate reconciles the individual and the communal. As a means of identification and an affirmation of self, the food debate also opens the door to real social issues, combining health, human and environmental issues. 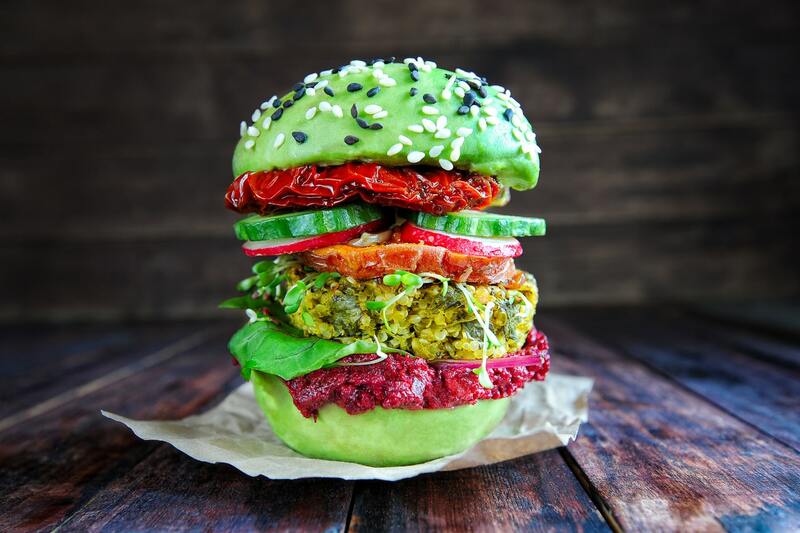 Influencers and bloggers, the Gurus of a new genre, have joined the established experts and are now obsessively interested in everything to do with food. Faced with oppressive and sometimes contradictory directives, the consumer is entering into a state of mistrust regarding brands and their claims, a calling into question fuelled by repetitive food scandals. In 2017, 64% of French people said they were very worried about the effects of food on their health, and 44% said they had changed their eating habits, without reverting back to the old ones. A simple evolution, a paradigm shift, or the arrival of a new moral order? The contemporary eater is a worried individual, intrigued and involved in his or her choices, with a line of reasoning facilitated by the multiplication of dedicated apps and the opinions of communities with widely diverging interests. Nearly 300,000 Google searches are made on average every month based on the single word ‘eat’ / . Because now, everyone is wrapped up in food: public authorities to sensitize, warn and regulate, internet gurus to promote it as a lifestyle choice in itself, the media, to reveal what’s happening behind the scenes, the specialists, to associate food production and consumption with the preservation of the planet, and finally the neo-activists, to wholeheartedly denounce the excesses of our food supply chain. France is the first and the only country in the world to have its cuisine entered on the World Intangible Heritage list. It bases its national identity on its culinary traditions, an established taste for good things and a certain lifestyle. But this model, an exception until today, is evolving due to multiple cultural influences – from the obsession with result and control that’s arrived in France from the US, to the ‘mindful eating’ that’s currently driving each individual to craft their own holistic discipline to ‘live better healthily longer’, through the resurgence of strong cultural traits – bistronomy or rethinking meat consumption. Moreover, under the influence of a generation more open to the world and more syncretic, the French model seems to be gradually recomposing itself, without completely losing any of its idiosyncrasies. Even though the time spent preparing meals is constantly on the decrease, millennials love cooking and sharing the results of their culinary creativity with their tribes. For this generation, nutrition has become a marker of identity: they have no hesitation in adopting different diets, sometimes all at the same time: vegetarian, vegan, gluten-free, flexitarian … They are aware of their responsibility towards their children and the ecosystem in general, and want the products and brands they consume to reflect their commitment. But they also want to have fun by multiplying new experiences, and they want to consume everything right now, wherever they are – home delivery, food trucks, snacking – are therefore an integral part of their repertoire. These multiple micro-trends, from the most individualized to the most holistic, from the most regressive to the most controlled, contribute to the emergence of a new French food identity. Are these faint signals already finding an echo with consumers? How are they digesting the directives to which they are subjected? By discussing with consumers of different ages, socio-professional categories and places of life outside of large cities, we have realized that a change in the model is indeed well underway. Far from the traditional ‘target’ consumers, new modes of behaviour are emerging which illustrate the contradictions experienced (and assumed as such) by the consumers and the arguments they extract from them. ‘Penitents’ who have radically changed their diet for health reasons and control it on a daily basis, ‘Epicureans’ who favour pleasure but integrate their nutritional concerns in their own way, ‘Pragmatists’, who focus on the safety/price or ‘Moderates’, who are constructing their own made-to-measure nutritional balance – each creates his own ‘Food’ religion – a mixture of food where organic and local are the new standards of quality. However, all have one point in common, questioning the ‘dominant model’ – mass production and distribution, industrial food brand giants. Their confidence in leading food brands is eroding and gradually giving way to suspicion and doubt. Tired of scandals of all kinds, they are clearly seeking to regain their free will and recompose their food identity by mixing different sources of influence. We’ve been seeing this phenomenon emerge for a long time, facilitated by IT and the arrival of new brands whose model is based on strong values in harmony with their times. A ‘Food Revolution’ is well underway. If the food giants felt sheltered not so long ago, they are now completely in turmoil – unless they have thoroughly questioned themselves on their brand experience, from product to communication, reconsidered their mission (and not only their point of differentiation), and most importantly, to have implemented new ways of working and innovating, more agile, more collaborative, more empathic. Without re-examining their business model in depth, they cannot hope to have a sustainable food brand. Expert opinion proposed from the global study on the ‘Food Revolution’ led by Logic Design. Conference and presentation of conclusions on Mai 14th in Vevey.